The common misconception is that carpet and upholstery cleaning methods are the same. Actually, the two require different care and cleaning methods. While carpet is made from synthetic fibers, upholstery is often fabric based, either cotton, wool or or a combination of numerous fabrics. These fabrics tend to be sensitive to certain types of chemicals that may be more effective on carpets. It is therefore important to know exactly which chemicals are conducive to your upholstery fabric so that you do not end up damaging your household items. There are however similar cleaning tips that apply to both carpet and upholstery cleaning. First it is important not to use too much water when cleaning either carpet or upholstery. Soaking the item in water may increase the possibility of mold and odours development. Carpets may require a little more moisture to facilitate its cleaning but upholstery may simply require moisture from a spray bottle. When you are removing fresh spills on upholstery or carpet with the recommended detergent or substance, it is important not to rub the spill but to simply blot it. Blotting the spill allows it to be absorbed by the cloth or sponge without being massaged deeper into the fibers. Rubbing the spill will cause the stain causing material to seep further into the fibers and spread. Some common mixtures and detergents work well when cleaning both carpets and upholstery. Vinegar, laundry detergents and salts are good for removing stains while hydrogen peroxide is good for removing both blood and wine stains. -The best stain removing substance suitable for carpets is a paste made of equal parts vinegar and baking soda, diluted with a little warm water. Using a sponge scrub the area until satisfied that the stain is removed. Wipe the area dry with a dry clean cloth. This method works well for a variety of stains including wine, food and blood. -For general carpet cleaning, mix one part of any laundry detergent with 10 parts warm water. Use a brush with bristles that are not too soft so as not to get the work done, and not too hard so it damages the fibers. Scrub the carpet thoroughly and leave it outside in open air to dry. When it is dry, vacuum it well to lift and puff up the fibers for that spongy look. -When vacuuming your carpet, be sure to use a clean vacuum bag at all times. Using a bag that is full or has previous dirt reduces the suction power of the vacuum making it ineffective is completely cleaning the carpet. Also, be sure to frequently clean out your vacuum filters to keep the machine in good working condition. -It is important to set your vacuum at a reasonable height for effective cleaning. Setting the machine too close to the ground runs the risk of damaging the carpet fibers while setting it too high makes it impossible to capture the dirt off the surface of the carpet. 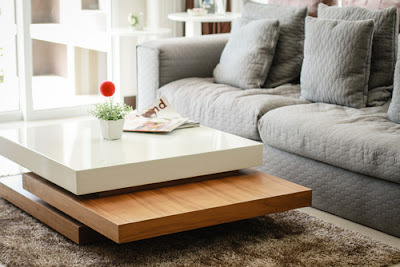 -Just like on hard surfaces, dust collects on upholstery and if not removed frequently can collect and form grime which is harder to remove and can leave unsightly stains on your sofas and furniture. To remove the dust simply use a soft bristle brush or a vacuum with an upholstery suitable nozzle. 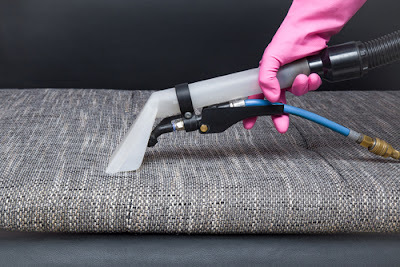 However be careful to only use vacuums on upholstery that is tightly fixed to the furniture otherwise it may come off or fray under the pressure of the suction. -To remove stains on upholstery take a clean cloth and wet to ends of it while keeping the middle of the cloth dry. Dip one wet end into a small mixture of one part vinegar to two parts laundry detergent, scrub the stain, and use the other side to remove off the detergent. Dry the area with the middle part. upholstery to see if the fabric reacts badly with the mixture before using it on the whole item and completely ruining it. -If you wish to clean removable upholstery covers, be sure to check their tags or manufacturers instructions on appropriate wash care. Wash the upholstery in cool water and detergent. Return the upholstery onto the sofa or whichever piece of furniture while it is still slightly damp. This will allow the upholstery to retain its original shape. 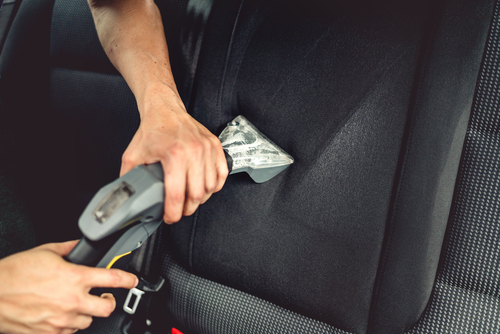 -If the upholstery is fixed, simply mix a small amount of detergent with warm water and using a sponge, wipe the upholstery applying a little bit of pressure so that the dirt lifts off. Be sure again to test the detergent mixture on an inconspicuous part of the fabric to ensure there are no chemical damages that will be caused that may damage the fabric. -Also remember not to use a fully wet sponge on fixed upholstery but rather a damp one to allow the upholstery to dry faster. -It is also important to get a professional to frequently treat and flush out your upholstery especially if you have pets and children interacting on the same furniture. Pets often shed hair, occasional flees and dirt that they bring in from all parts of the house, and these may end up on the upholstery. This is the same surface that your children will play in and this could expose them to a number of health risk and diseases. It is not possible to do a thorough upholstery cleaning in a regular basis either because of your busy schedule or a constantly busy household. Regular professional upholstery treatment services can be sourced to deep clean the upholstery and prevent your kids from falling ill. There are several professional carpet and upholstery cleaning service companies in Singapore that offer these services. Even though these tips are effective, we all know that prevention is better than cure. To prevent too much dirt collecting on carpets, use wipe off matts at the entrance of your house that will pick up most of the dirt from shoes,feet and pet paws before it lands on the carpet. Occasional professional carpet and upholstery cleaning is also important to keep your furniture in mint condition.